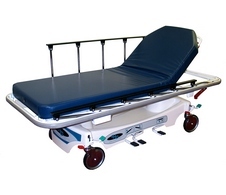 Future Health Concepts (FHC) 7100 Mobilecare Stretcher. 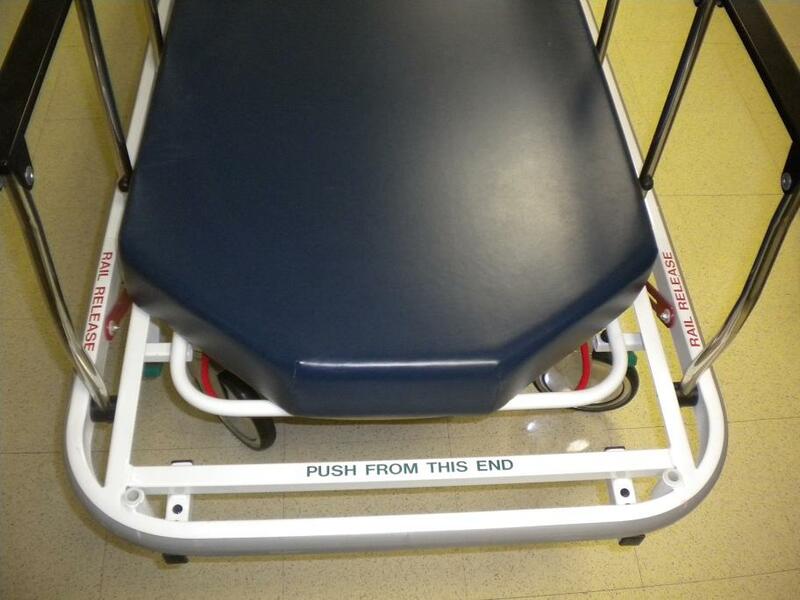 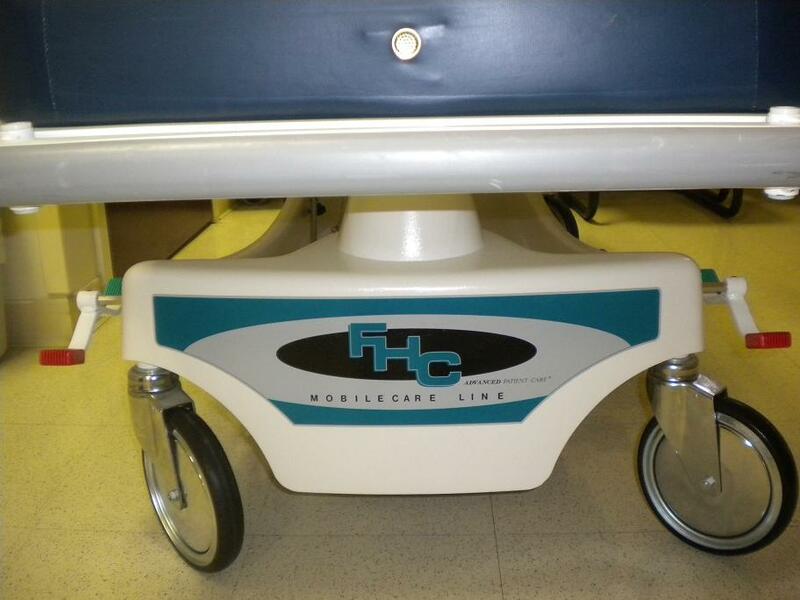 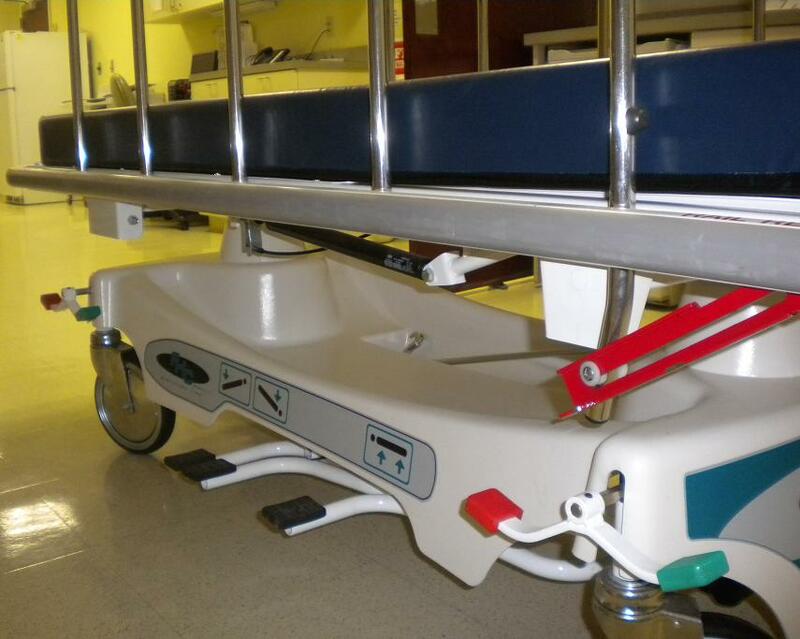 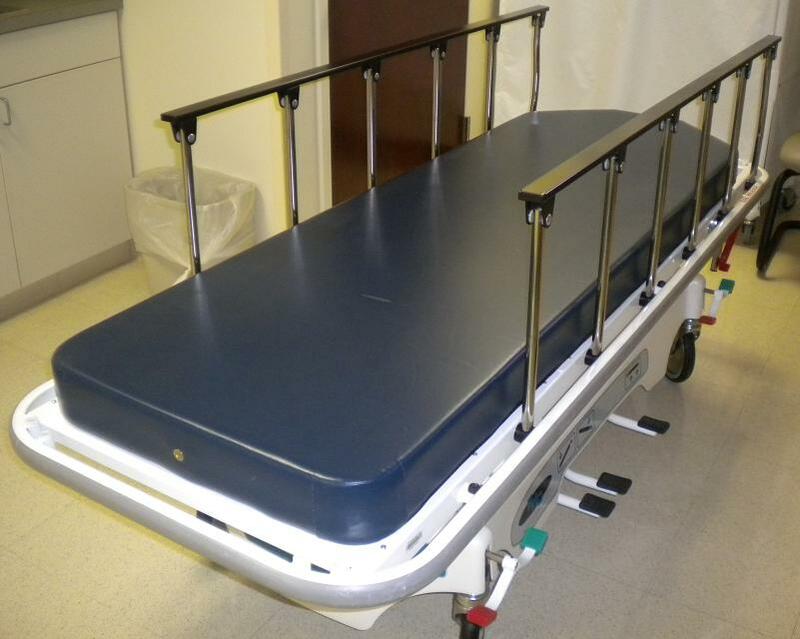 MINIMUM HEIGHT WITH 8" CASTERS: 23.5"
MAXIMUM HEIGHT WITH 8" CASTERS: 35"
•	Fold-down side rails,14.5 " X 49"
This FHC 7100 Mobilecare Stretcher was rarely used and is in very good condition. 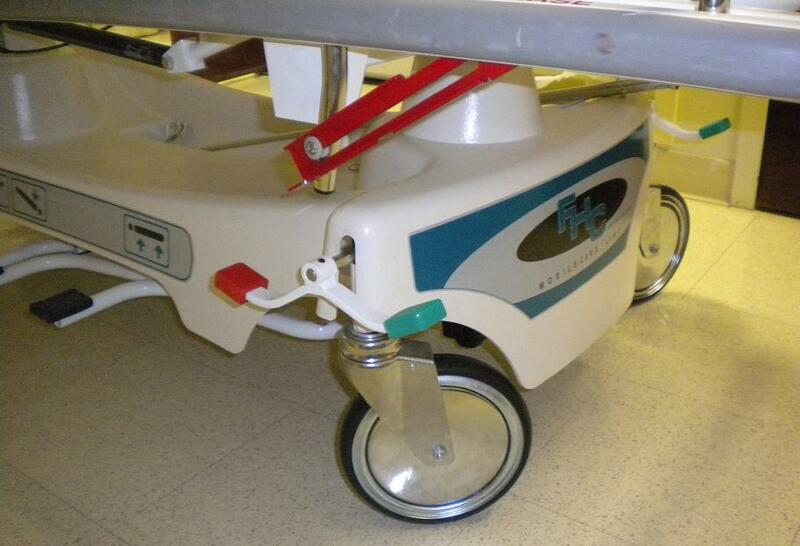 The only thing wrong with the unit is that it is missing a rubber pad on one of the foot controls.